RISE AND SHINE: The singer is sunny-side up on latest CD. Newly confirmed Jamaica Jazz & Blues headliner Etana is set to reveal arguably her fiercest, most thought-provoking effort to date on Feb. 26. Better Tomorrow, her third studio album, recorded at Kingston’s legendary Tuff Gong Studios, is a true testament to her evolved sound. 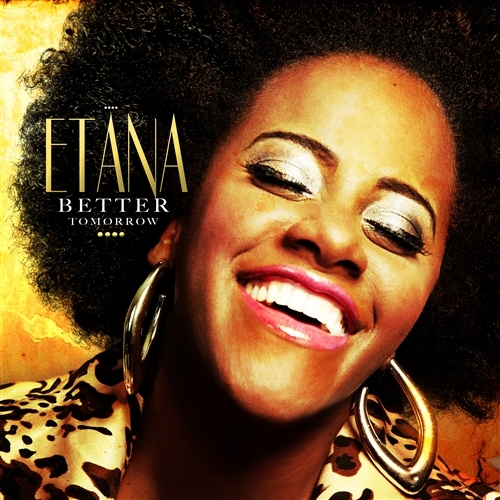 With a fresh perspective and young daughter (born last November), Etana offers newfound clarity on Better Tomorrow, a 14-track collection produced primarily by Shane Brown of Jukeboxx Recordings. The album also expands on her recent digital-only EP Reggae and 2011 sophomore release Free Expressions, which won praise for being “a rarity: music that sermonizes, yet still sweetly serenades,” according to NPR.org. These releases also follow her 2008 critically acclaimed debut The Strong One. Meantime, Etana joins a starry, illustrious lineup for this month’s Jazz & Blues festival (Jan. 24 to 26) including the likes of Mary J. Blige, Monica, Arturo Tappin and John Legend.